NaBloPoMo – Done and Dusted. Phew, we did it: one full month of daily blogs as part of the NaBloPoMo Challenge! An even bigger “Phew!” to the fact that we still have you wonderful people running your eyes over our daily drivel, putting your two cents in when the mood strikes, and making this all a heap of fun. This challenge has made us really look at the Homestead and see it for the constant, rhythmical way of life it is. Although it’s sometimes exhausting, often frustrating, and we appreciate it certainly isn’t top of everyone’s aspired lifestyle, right here, right now, we’re living our dream. How weird that a month of writing about our everyday nothings has made us see that. Of course, we’re well aware we’ll never know half of a snippet of what we should know; our garden will always be messy and our animals over indulged, but we do what we do with the best intentions and as much knowledge as we can garner from books, blogs and the bountiful world wide web. At the end of the day, mistakes just make for good stories, even if in the thick of them you’re uttering very bad words through hiccuped sobs because the blimmin’ rustic arch has collapsed…again. That people enjoy reading our triumphs, disasters, ponderings and days-where-nothing-happens is (without meaning to sound like a Hollywood somebody’s Oscar acceptance speech) incredibly humbling. That our terrible photo offerings are accepted, examined and commented on (often by people who augment their own writings with the most gorgeous, considered images) is simply awesome and more than a little embarrassing. Thanks for all those little remarks, that feedback, for taking the time to connect with us; during this month you’ve imparted sympathy, empathy, respect for the way we live, and made us laugh until our sides ache. Every morning this month as we dragged on our gumboots and trotted off down to the goat paddock, you were right there with us. It’s going to be a bit strange not keeping our eyes peeled and ears tuned for that little something to tell you all. On the positive side, the content can only improve with us reverting to weekly blogs with seven whole days living to draw from, but we wonder what you will miss out on being updated on. Feel free to ask if you suspect we’ve overlooked imparting something! 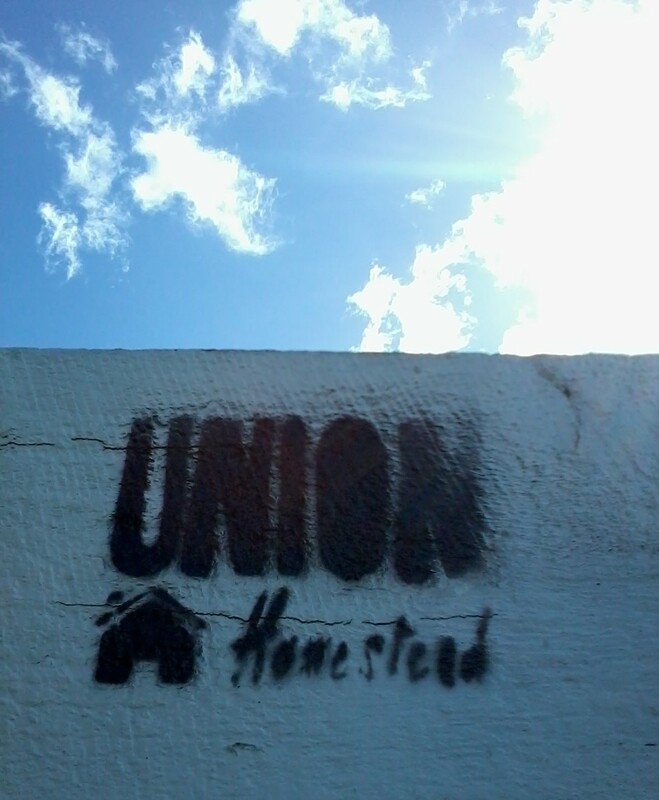 And so, to the final day of November’s Union Homestead run-down. Firstly, and we hope you are as outraged by this as we were, Michael of the questionable work ethic once again called in sick, meaning that a cruisy Sunday spent wandering down the beach to check out the new organic vege shop in Brighton followed by a coffee at Crema was no longer on an option for The Bean Counter. After he had grumbled off and chores were completed, The Farmer also hit the road to “play trains” and the four remaining Homesteaders undertook the beach walk. We left The Renovator in Brighton as he was rostered on to work, and the rest of the day was spent replenishing the baking tins and preparing dinner, removing a tree limb from the top of the goat paddock fence (after another blustery night) and, for Farm Girl, indulging in her latest passion: playing the recorder. We’re not sure our neighbours share her enthusiasm, but as we have said before, they are a tolerant, well mannered bunch – much like you all. 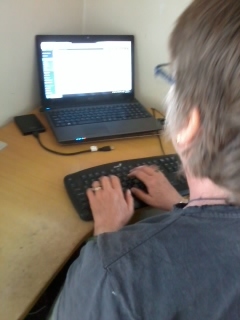 This entry was posted in Union Homestead and tagged Aotearoa, blog a day, blogging, blogs, Christchurch, Family, Homestead, Homesteader, homesteading, NaBloPoMo, New Brighton, New Zealand, Otautahi, post a day, post a week, smallholder, smallholding. Bookmark the permalink. Congratulations on your month of daily blogging, I have enjoyed it. Glad Farm Girl is playing her recorder, I used to teach other people those skills. Thanks to you in turn for taking the time to comment. We’re also pleased about Farm Girl’s recordering; it’s such a wonderful beginner instrument and, as someone who has lived through beginner violin, saxophone, clarinet and ukulele, I can truly say with my hand on my heart that the humble recorder is one of the easiest to tolerate. Beginner clarinet: don’t get me started! I am SO impressed that you managed to get all the way through NaBLPoMo…I could never have managed it. And yes, I think it’s true that it did show the rhythm of your days better than weekly blogging, but weekly blogging will be way more manageable and less dominating. I don’t even manage weekly…Bother Michael – the tree limb from the blustery night explains his illness, I suppose. Ha – the recorder. I guess every family goes through this sooner or later. One is kicking around on my kitchen table as we speak, property of my 16 yr old. Not that she plays it well, just persistently. Good King Wenceslas. A lot. Thankfully Michael has overplayed his hand now so blustery night no longer need to strike havoc into all our hearts. Good King Wenceslas? We’re getting Jingle Bells at a million miles an hour…wanna swap??? I am most definitely NOT swapping for Jingle bells – we’ve done that one. Sorry. Just wait for Deck the Halls – all those fa la la la bits. Oooh…good idea about Wartime Farm, I wouldn’t mind rewatching that, but I haven’t seen Tudor Monastery Farm yet, so that’s my next bit of watching. Ground is frozen hard, so no fence for me today – too bad :). Hey back and lovely to hear from you. We have thoughly enjoyed your daily offerings. You are really into what you are doing on the Homestead and that is a true blessing. I hope Michael gets a short shift and that the Bean Counter does not have to field early morning calls, Lord Michael hardly ever lets a wet, windy or even snowy day stop him on his bike. Even an early start does not put him off 🙂 Me I am far to relient on the car although I have made mention of biking more often if only I could muster the energy.